Prince wrote countless hits over his decades in the music business—and a number of his hits have been popularized by other musicians. In many cases, Prince had a hit, then another artist covered his song and made it a hit again (a good example is "Kiss," which was a #1 U.S. hit for Prince in 1986 and a top 10 UK hit for Art of Noise featuring Tom Jones in 1989). Here's some of Prince's best material, as performed by other artists. 1. "Nothing Compares 2 U"
I had no idea that Prince wrote this song until 1998. I told a Prince-loving friend about it and he had no idea Sinéad O'Connor had even performed this song (although it was a #1 hit for her in 1990). I guess we all know our favorite versions best! Interestingly, the song was originally written for The Family, a band largely powered by Prince and including various band members who collaborated with him on other projects. You can listen to O'Connor's version of the song above, and Prince performing it with Mary J. Blige below. 2. "When You Were Mine"
You might know "When You Were Mine" best as a Cyndi Lauper song, but it was written by Prince and released originally as a B-side for his single "Controversy" in 1981. Lauper's version is above. I was a huge Bangles fan in elementary school. I totally listened to Different Light on repeat on my tape deck for years (hey, stop beating me up, bullies!). It wasn't until a decade after I first heard it that I learned the hit single "Manic Monday" was written by Prince and originally intended for Apollonia 6. 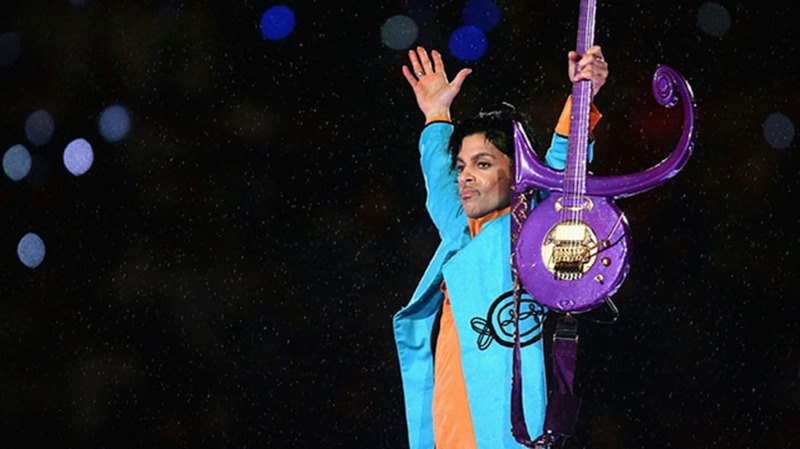 Interestingly, "Manic Monday" peaked at the #2 spot on the U.S. charts—while Prince's "Kiss" was #1. For more on working with Prince, check out this clip. 4. "How Come U Don't Call Me Anymore?" Written by Prince, this was originally released as the B-side to his song "1999" in 1982. It was later covered by various artists, with Alicia Keys's 2001 version (above) peaking at #26 on the UK charts. Watch Alicia Keys induct Prince into the Rock and Roll Hall of Fame. This Stevie Nicks solo track was a top five hit, but was co-written by Prince—he wrote the signature synthesizer parts. (And Nicks has reportedly said that the lyrics to "Stand Back" fit exactly into "Little Red Corvette"; the songs are that similar!) ASCAP credits "Nicks, Stephanie" and "Prince" as the writers of "Stand Back." 6. "I Feel for You"
Originally written and recorded by Prince, later covered The Pointer Sisters and Mary Wells, Chaka Khan's version of "I Feel for Your" (above) featured a famous rap intro by Melle Mel and Stevie Wonder on harmonica. The song was a #3 hit for Khan. Originally written by Prince for Apollonia 6 (like "Manic Monday"), this song was given to percussionist/singer Sheila E., who made it into a #1 dance hit in 1984. If you liked that, you might enjoy Stevie Wonder, Sheila E., and Prince playing "Superstition" together. This piece originally ran in 2011.